Texas Tech regents headed for a big shakeup? Might it be that a former Amarillo mayor, Jerry Hodge, managed to exert enough pressure on the chairman of the Texas Tech University Board of Regents to surrender his chairmanship? Hodge is angry at the Tech board over the way it handled the ouster — and let’s call it what it was — of former Tech Chancellor Bob Duncan. Frankly, I’m angry, too. So are a lot of Tech partisans throughout the state and beyond. Hodge launched an effort to get rid of former Tech Regents Chairman Rick Francis, on whose watch the board conducted what it called an “informal vote” in executive, or secret, session. The informal vote said regents no longer had confidence in Duncan’s leadership as chancellor. Duncan then announced his retirement … and was gone! To their credit, regents have approved more money for an upcoming college of veterinary medicine that Tech wants to build in Amarillo. Francis remains on the Tech board. He’s just no longer the chairman. I hope Gov. Greg Abbott chooses not to reappoint him. I believe — and this is just my view only, as someone who didn’t attend Tech, but who got to know Duncan over the years — that Francis and four of the nine regents disserved the university with their no-confidence vote. What’s more, they well might have acted illegally. That issue needs examination, too. Regents said they had their informal vote in closed session. I’ve always understood that the Texas Open Meetings Law prohibits secret votes. Regents or any governing body aren’t allowed to vote in executive session; they’re supposed to cast those votes in the open. I don’t know what the appropriate sanction ought to be. Perhaps a public letter of reprimand from the governor’s office might suffice. At least the chairmanship has been handed over to someone else. If the former Amarillo mayor had a hand in that happening, then I applaud him. Go for it, Jerry Hodge, in your effort to oust regents chair! I hereby endorse former Amarillo Mayor Jerry Hodge’s effort to oust the chairman of the Texas Tech University System Board of Regents, Rick Francis. Hodge is steamed over the way the Tech board treated former Chancellor Bob Duncan. I am, too. Angry, that is. Duncan got the shaft, the bum’s rush and was shown the door after what well might have been an illegal meeting of the Tech regents. Regents took what was called an “informal vote” in executive sessions to deliver a no-confidence decision against Duncan, who then announced his “retirement” from a post he had held for the past six years. State law prohibits governing bodies from voting in private, but the Tech regents did so anyway. Thus, we might have a violation of the Texas Open Meetings Law. Hodge also is miffed that Francis might have sought to undermine Tech’s decision to build a college of veterinary medicine in Amarillo, which has drawn full-throated support from the Amarillo City Council, the Amarillo Economic Development Corporation and a number of corporate donors who have pledged money to help finance the project. Will the campaign succeed? That remains a wide-open question. The committee that Hodge leads wants Gov. Greg Abbott to take action. Count me as one who doubts the governor will jump to the committee’s cadence. Still, as a Texas resident with strong sentimental attachments to Amarillo, the Panhandle and a deep and abiding respect for the long public service career of the former Texas Tech chancellor, I want to endorse Jerry Hodge’s effort to raise as much of a ruckus as he can. AISD boss to, um, retire? If the recent “retirement” of Texas Tech University System Chancellor Bob Duncan taught us anything, it is to be sure we don’t take their initial statements at face value. Given that, the announcement today that Amarillo Independent School District Superintendent Dana West is retiring from a job she has held for three years makes me wonder: What’s the story behind the story? Duncan announced his retirement at Tech, but then we learned that Tech regents had voted secretly to deliver him a vote of no confidence. Sure, he retired. However, it was under duress. AISD officials are going to meet next week to decide whether to accept West’s retirement. Oh, and then trustees are going to consider appointing an interim superintendent. Let me think. Is it normal for a school superintendent to “retire” at the start of a school year and then walk away? I, um, don’t think so. Bob Duncan is now officially a former Texas Tech University system chancellor. I remain saddened that he has called it a career. I remain angry that it happened in the manner that it did. I also remain intent on holding Texas Tech’s regents to account for the manner that they engineered Duncan’s departure from the chancellor’s office. Regents well might have violated Texas Open Meetings Act provisions by casting a “straw vote” in secret that produced a no-confidence decision regarding Duncan. There’s a possible bit of major collateral damage coming from this tempest: the proposed Tech college of veterinary medicine that Tech wants to build in Amarillo. A lengthy Texas Tribune story discusses how Duncan had been in deep doo-doo with regents for about a year prior to his abrupt resignation/retirement. Whatever happens, it would be the height — or depth — of folly to let the vet school wither and die. The interim chancellor, Tedd Mitchell, said he supports the vet school in Amarillo. Regents also issued a statement in support of the vet school immediately after announcing Duncan’s retirement. Lurking in the background is Texas A&M University System Chancellor John Sharp, who opposes Tech’s effort to build a vet school anywhere, not just Amarillo. Tribune lays out lengthy simmering of relations. Amarillo’s Economic Development Corporation has ponied up $69 million to support Tech’s effort, which is a huge statement of public support. The vet school’s economic boon to the Panhandle would be enormous. It needs to proceed. As for Duncan and his ongoing beef with regents, it strikes me as odd, given the former chancellor’s stellar reputation as a public servant, dating back to his years in the Texas Legislature, as a House member and senator. My plea is a simple one: Don’t let the Tech vet school wither and die. Texas Tech University System Board of Regents Chairman Rick Francis has come clean, albeit — and admittedly — a bit late. He has declared that Texas Tech Chancellor Bob Duncan, who is retiring in a few days, spent too much money on administrative matters. Thus, the board of regents — in a 5-4 vote — decided to go “in another direction.” The regents didn’t renew Duncan’s contract. So, he announced his retirement. Here is Francis’s explanation, as published in the Amarillo Globe-News. I accept the explanation. However, it doesn’t quite go far enough. First of all, I need to know whether Duncan’s budgeting proved detrimental to Texas Tech’s growth. I keep reading about student enrollment growth; about how Tech achieved Tier One status; about the growth of its various colleges of medicine, dentistry, pharmacy. And oh, yes, the school wants to build a college of veterinary medicine in Amarillo. This is bad for the school? This has taken the university backward? No and no. One more issue needs a resolution, Dr. Francis. It’s that “informal vote” you took in executive session. Texas Open Meetings Law requires governing bodies to vote in the open. They aren’t allowed to cast “informal votes” in secret, which apparently is what regents did. I no longer live in Amarillo, but I remain a constituent of the Tech University System, given that it is run by the state; and, yep, my wife and I still live in Texas. I would like to know how regents managed to circumvent state open meetings requirements by casting that straw vote in secret. Yes, I appreciate the acknowledgement that the regents chairman was slow to respond to demands for an explanation. But has the university suffered under Duncan’s tenure as chancellor? Oh, no. It has prospered. 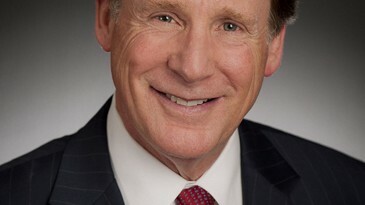 Tedd Mitchell has been named interim chancellor of the Texas Tech University System. Fine. Go for it, Mr. Mitchell … whoever you are. 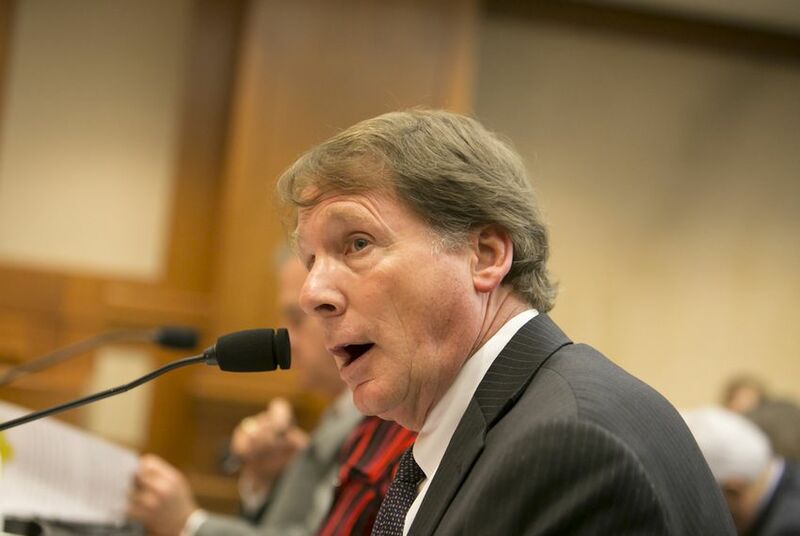 I am still waiting to hear a thorough explanation from the Tech regents as to why they dropped the anvil on one of genuinely good guys in Texas politics and public life, the lame-duck chancellor, Bob Duncan. Duncan announced his retirement effective Aug. 31. Why so quick? Why so sudden? Because five of the nine regents gave him a no-confidence vote in executive session — which is another story altogether; I’m likely to have more on that down the road. Texas Tech’s constituents need to know why Duncan, a man wholly devoted to the university, was shown the door in a secret vote. To date — and I’ll admit to being a good distance away at the moment — I have yet to hear anyone offer an explanation on what the slim Tech regent majority saw in Duncan that it didn’t like. There have been rumblings and rumors about the proposed Tech school of veterinary medicine which the school wants to build in Amarillo. Reports indicate that Texas A&M University System officials got to Gov. Greg Abbott and asked him to pressure Duncan to back off the vet school idea. But then the Tech regents issued a statement reaffirming their support for the vet school. Duncan said all the right things when he announced his retirement. Those of us who know the chancellor want to know the story behind the story. I must remind the regents that they constitute the governing body of a public institution funded by public money. They work for the state, which comprises 27 million or so “bosses” who need to know the whole story. I don’t sign petitions. A career in journalism precluded me from signing political documents that put my name into the public domain as a supporter or a foe of this or that politician or cause. A petition, though, is making the rounds and it is providing a temptation I have to struggle to overcome. It demands that Texas Gov. Greg Abbott remove five Texas Tech University System regents for their no-confidence vote against Tech Chancellor Bob Duncan. The targets of the petition are Rick Francis, Ronnie Hammonds, Christopher Huckabee, Mickey Long and John Steinmetz. These are the five individuals whose no-confidence declaration essentially forced Duncan to announce his retirement effective Aug. 31. As others have noted, Duncan is a serious Boy Scout who toiled for years in a profession known to produce more villains than heroes. He served in the Texas Legislature before becoming chancellor four years ago; he also worked as chief of staff for Sen. John Montford, another legislator of renown who became a Tech chancellor. If there is a blemish on Duncan’s exemplary public service record, then someone will have to ask him to show to us, because no one has found one. The planned Tech college of veterinary medicine appears to be at or near the center of this tempest. Tech wants to build a vet school in Amarillo, but is getting serious pushback from Texas A&M University, whose chancellor, John Sharp, has been leading the fight against Tech’s vet school plans. A&M operates the state’s only veterinary medicine school and doesn’t want Tech to meddle in what had been A&M’s exclusive educational domain. So now Bob Duncan has been caught in that undertow. Shameful, I’m tellin’ ya. Meanwhile, I am hereby renewing my demand for the regents who want Duncan out to explain in detail why they cast their vote to boot out the Boy Scout. Why did you want Duncan to go, regents? Come clean! I have to hand it to the Texas Tribune’s Ross Ramsey: The man knows how to lay political injustice out there in the great wide open for all to see. Ramsey thinks Texas Tech University System Chancellor Bob Duncan got hosed by the university’s board of regents. They voted — possibly illegally in an executive session — to issue a no-confidence verdict on Duncan. What does Ramsey think of Duncan? Get a load of this excerpt from the Texas Tribune: He has been solid gold the whole way: As a legislative staffer, a lawyer working for state Sen. John Montford, D-Lubbock; as a member of the Texas House and then a state senator; and finally, as the chancellor. No scandals. No meaningful enemies (until now, anyway). His has been a stellar career. It’s what the optimists hope for and what the pessimists bet against. He’s straight out of a Frank Capra movie, or a civics textbook. Imagine a guy walking through a spaghetti factory in a white suit and leaving without a spot on him. Duncan is really something. Which is why it’s a shame that the rest of the crabs pulled him back into the bucket. The regents at Texas Tech showed their mettle — demonstrating why they’re little fish and not big fish — when a more brazen academic institution bellowed about their plans to launch a veterinary school in the Panhandle. Texas A&M University, headed by former legislator, railroad commissioner and comptroller John Sharp, believes one vet school is enough. Ramsey thinks that someone connected to the A&M System got to Gov. Greg Abbott, who might have told the Tech regents — who are appointed by the governor — to reel Duncan in. What is galling to me is that regents haven’t yet given a hint of detail as to why they want Duncan to leave the post he has held for the past four years. By most observers’ reckoning, he was doing a bang-up job as the system’s chief administrator. Regents have sought to cover their backsides by declaring their continued support for the school of veterinary medicine in Amarillo. That’s great! Read Ramsey’s excellent analysis here. First things first. They need to explain to Tech’s constituents why they have pushed a “good guy,” as Ramsey described Duncan, over the proverbial cliff. When does ‘informal’ allow for secrecy? Lubbock, we might have a problem. The Texas Tech University System Board of Regents well might have violated a key provision in the Texas Open Meetings Law when it cast an “informal vote” in executive — or secret — session that gave Chancellor Bob Duncan a vote of no confidence. The regents, meeting in Lubbock, voted 5-4 in delivering the no confidence declaration. Duncan, who’s been chancellor of the university for four years, then announced his retirement effective at the end of August. The Open Meetings Law is pretty clear. It says that governing boards cannot cast votes in secret. They can deliberate out of public view, but must vote in the open. It has been reported that regents voted “informally” in secret. As I understand the law, that’s a non-starter, folks. Here is how AGN Media reported it: Duncan on Monday, a few days following that vote in executive session, announced his retirement after four years as chancellor of the Texas Tech University System. For that matter, what in the name of transparency does an “informal” vote mean? Does it mean that the board can change its mind? Or that it really didn’t mean to deliver the no confidence vote in the first place? Or … that it’s all open to negotiation? I seriously doubt the Open Meetings Law makes exceptions for “informal” votes. As one with a keen interest in these sorts of matters, I would appreciate a thorough explanation. So would the rest of the Texas Tech University constituency. It would go like this: Will you ensure that Texas Tech continues to proceed full force with establishing a college of veterinary medicine in Amarillo? 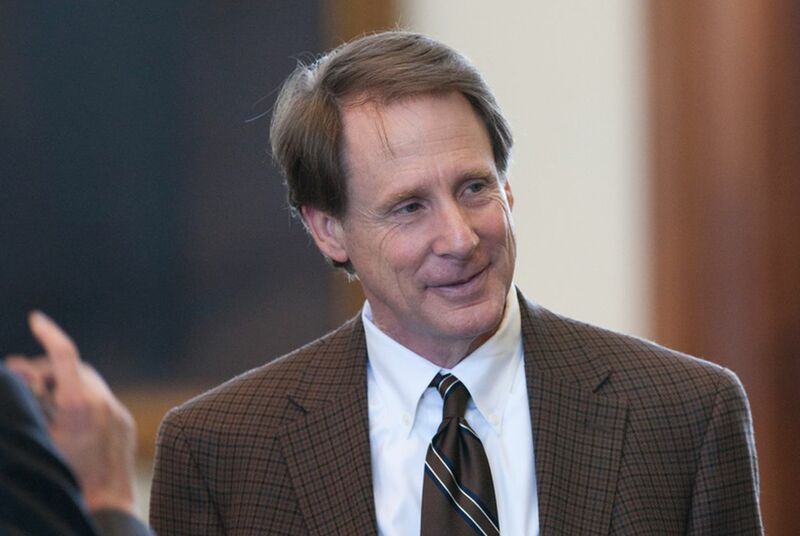 Duncan, who built a stellar career in law, then in the Texas Legislature and then as Texas Tech’s chancellor, has decided to go on down the road. He turns 65. He wants to scale it back. The chancellor has done very well for the school where he earned his undergraduate and law degrees. The school’s endowment has grown to more than $1 billion under Duncan’s tenure as chancellor, which speaks to the success he enjoyed as a fundraiser for the university. Duncan has become an articulate champion for Tech’s next great system addition, the vet school in Amarillo. This project, which has the full backing of the Amarillo City Council and the Amarillo Economic Development Corporation, will be a boon to veterinary medicine in Texas, not to mention to the Texas Panhandle, which will benefit greatly by delivering a top-quality education to students who want to serve their communities. The vet school holds tremendous promise for large-animal veterinary care. Given the Panhandle’s reliance on livestock and horses, that is — as one might think — a very … big … deal. The vet school is gaining valuable momentum, much of it pushed forward by Chancellor Bob Duncan. The next chancellor, whoever he or she is, must carry that momentum forward. As for Chancellor Duncan, I want to join the chorus of those who thank him for his service to the state, to his beloved university and to the Texas Panhandle.